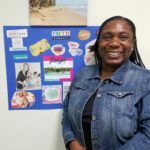 Karlene with her Vision Board! Describe your coaching business in one sentence: I am a personal and executive coach who is passionate about helping college students tap into their unlocked potential as they transition into professional life. My goal is to help them successfully transition into college and overcome obstacles as they move forward after graduation. The book that impacted me most as a coach new to entrepreneurship is "Oversubscribed: How to Get People Lining Up to Do Business with You" by Daniel Priestley. This book has excellent strategies for marketing your coaching business. It is an impactful book with simple tips that can be implemented right away. I'm always looking for pictures or designs for my blogs and flyers, so I spend a lot of time on both Canva.com and Unsplash.com. Author and Coach, Valorie Burton. Valorie is the reason I became a coach. Although I was introduced to coaching before I met her, I was intrigued and impacted by her style of coaching, her books, her professionalism and her inviting personality. I've read almost all of her books and was privileged to be her student at her school, The CaPP (Coaching and Positive Psychology) Institute in Atlanta, GA. I see myself lecturing at a college or university, managing my coaching practice, training coaches and sitting on a beach somewhere several weeks out of the year! My "big project" at the moment is expanding my coaching programs, "The Champion Student" and "Envision Your Success with Vision Boards" to more college students. The most exciting moment for me so far was when one of my clients showed me all the goals on her vision board that she'd accomplished since we started coaching. The Coaching Tools Company "Make Your Goals Smart" Worksheet Editor's Note: This tool is our free tool in Month 5 if you sign up for our newsletter! Can't wait? You may also like Nail That Goal - SMART Goals! The VIA Character Strengths Assessment. I love supporting people as they move towards change and seeing their reactions as they achieve their goals! It makes me very happy. It's not really a secret but many in my coaching world may not know that I'm from a very small island in the Caribbean - Tobago. It's the smaller part of the twin-island republic of Trinidad and Tobago. While I was growing up there, the population of the island was only about 40,000 people and it was a really close-knit community. I look forward to going there every year and visiting the very quiet, untouched beaches. I am often pained by the number of people who have no vision for their life. I would love to help them discover and develop the precious gift that they have hidden in them and be a blessing to others with it. Follow Karlene on Social Media here on Linkedin or Instagram! Coach FEATURE: Meet Jenn Danielson! 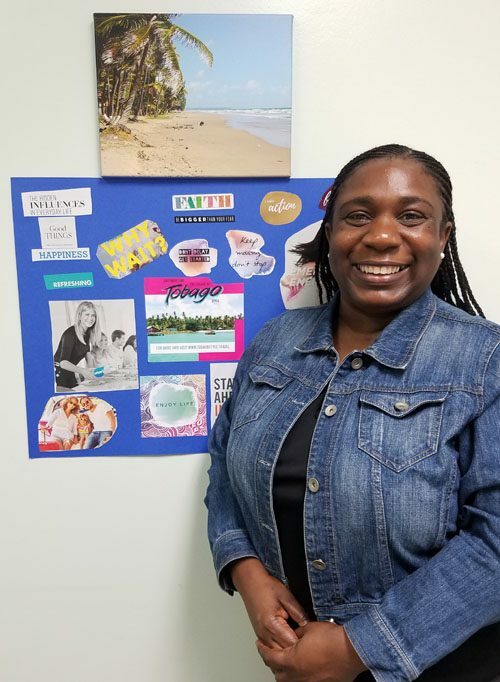 How to use Vision Boards to Get Your Clients Focused and Excited!